The Department of Women’s & Gender Studies (WGS) in the College of Arts and Sciences is having another banner year. Several of its professors—Chandra Talpade Mohanty, Dana Olwan, Pedro DiPietro, Himika Bhattacharya and Minnie Bruce Pratt—have been recognized for their contributions to feminist scholarship. Mohanty is Distinguished Professor of WGS and Dean’s Professor of the Humanities. In March, she was invited to speak at Rice University, as part of its prestigious graduate colloquia series in the Center for the Study of Women, Gender and Sexuality. At Rice, Mohanty also facilitated a graduate seminar on “Pedagogies of Dissent,” drawing on her experiences as a feminist educator at Syracuse. 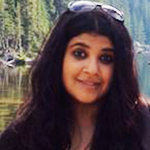 Much of her discussion looked at how theory—feminist or anti-racist or both–is trafficked as a commodity disconnected from its activist moorings and social justice commitments. The seminar also examined creative ways that educators can enact pedagogies of dissent. 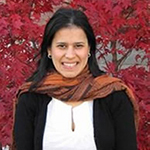 Olwan is the recipient of a 2015 Meredith Teaching Recognition Award. She was selected for her ability to create an environment where students formulate strong arguments; develop thoughtful positions; and articulate different perspectives with clarity, evidence and conviction. 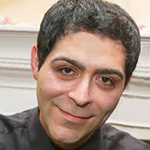 A 2014-15 Fellow of the Palestinian American Research Center, Olwan is a faculty affiliate of the University’s Native American, Middle Eastern and LGBT studies programs. She recently was the only junior faculty member in the country to lead a workshop at the National Women’s Studies Association Curriculum Institute. 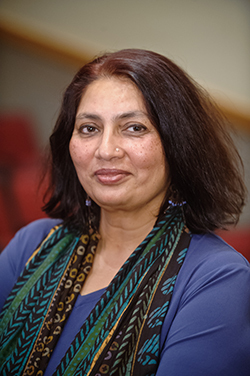 An assistant professor of WGS, Bhattacharya also serves as an affiliate faculty member of both the South Asia Center in the Maxwell School of Citizenship and Public Affairs and the Department of Communication and Rhetorical Studies in the College of Visual and Performing Arts. 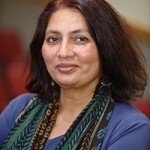 Her research and teaching interests span transnational feminist studies, qualitative research methods and South Asian studies. Bhattacharya’s presentation comes on the heels of other national and international speaking engagements, including ones at the City University of New York and Jawaharlal Nehru University in New Delhi, India. These talks have been based on chapters from her forthcoming book, “Beyond Love and Violence: Women Contesting Caste, State and Tribe in India.” She is scheduled to discuss some of her recent research on genealogies of anti-violence organizing in India at the University of Colorado Boulder. A professor in both WGS and the writing program, Pratt has been among some two dozen poets featured in an outdoor installation in West Hollywood, Calif., as part of National Poetry Month. Known as the Lamppost Banner Project, the installation is the brainchild of the city’s first poet laureate, Steven Reigns, and involves a series of poetry banners along Santa Monica Boulevard. Pratt’s banner includes the line, “If we jump up now, our far will be near,” from her collection “Inside the Money Machine” (Carolina Wren Press, 2011). The recognition precedes Pratt’s retirement from Syracuse, whose faculty she joined in 2005. Since then, she has been a key architect of the LGBT Studies Program, which led the University to being named one of the nation’s top 50 LGBT-friendly institutions, according to Campus Pride. 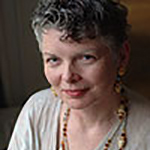 Pratt is also known for her groundbreaking work in women’s studies—chiefly, feminist theory and the intersections of race, gender, class and sexuality, as well as creative nonfiction and poetry.